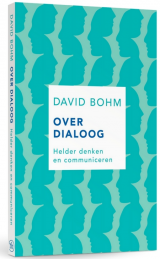 In the Netherlands, the book On Dialogue by David Bohm, received a warm welcome. In the book presentation of the Dutch version, Humberto Schwab confronts us with some of the fundamental assumptions that form the pillars of our culture. He offers an Exponential Human approach, with strong Bohm argumentations. In his talk and in the preface that he wrote for the book, he advocates an Exponential Human approach in contrast with the approach of the Singularity University. Humberto Schwab advocates an #ExponentialHuman approach in contrast with the approach of the Singularity University. The Dutch culture is probably the most individualistic culture in Western Europe (therefore very innovative). The flip side of this atomism (extreme individualism) is a loss of collective attention. 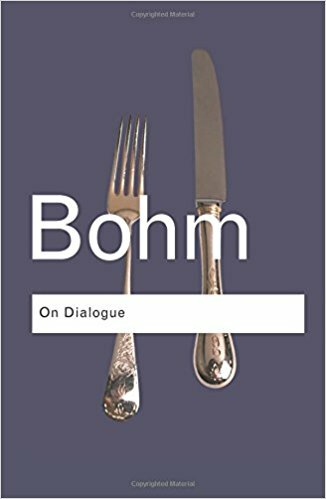 David Bohm shows us the way to authentic thinking, away from a-tomism and addiction to the self. The Dutch version of the book with a preface of Humberto Schwab is now available.